Home You n Entertainment Bow Wow & Love & Hip-Hop’s Erica Mena Are Engaged To Be Married. Bow Wow & Love & Hip-Hop’s Erica Mena Are Engaged To Be Married. Bow wow engaged his girlfriend of 6 months with a diamond encrusted ring. 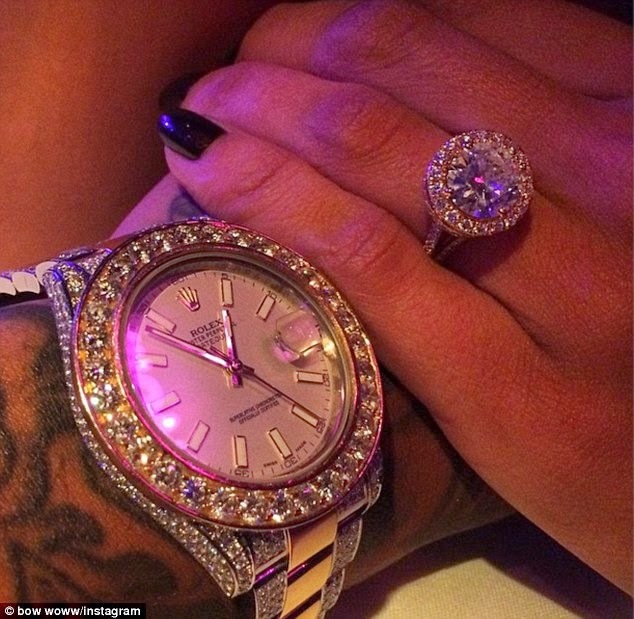 The Instagram photo shows Erica’s manicured fingers next to Bow Wow’s tattooed forearm and wrist. On Erica’s finger is the engagement ring; on Bow Wow’s wrist - a pricey Rolex. Word of the engagement broke over the weekend. While walking a red carpet at the BET Awards in Atlanta Saturday, Mena was asked if the two were an official couple.